A while back, we took a look at Duolingo’s iOS and Android-based solution for training your Japanese skills on a daily basis. 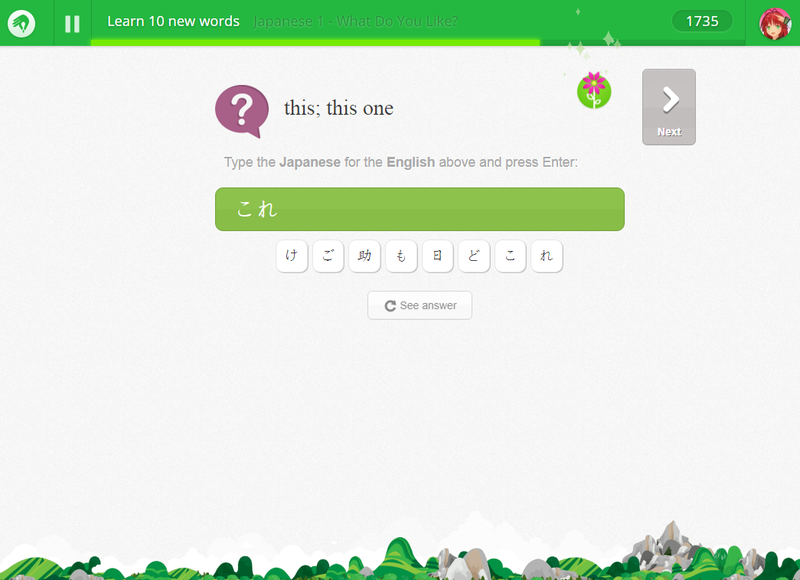 Duolingo has since launched the Web-based version of its Japanese course and it is still a worthwhile use of your time, particularly if you’re starting out. But I’ve been exploring an alternative recently after my friend “Firion Hope” on Twitter made me aware of it… and I think I prefer it slightly after spending a couple of weeks with it. That alternative is Memrise, and if you’re looking for a way to get into the habit of daily study as well as challenging yourself a bit, it’s well worth a look. Memrise’s approach is somewhat similar to Duolingo in that it encourages you to study a little and often, repeating things frequently in an attempt to lodge them firmly in your long-term memory. And, like Duolingo, its Japanese course — of which several levels are available at the time of writing — throws you in pretty much at the deep end with reading, writing and listening activities that get you accustomed to hiragana, katakana and a number of kanji right from the outset. This aspect is very important, as getting hung up on romaji — Japanese syllables represented using the Roman characters we use in the West — is how a lot of people find themselves hitting a brick wall with study of the language. Where Memrise distinguishes itself from Duolingo — and is superior, for my money — is in the variety of different activities it offers. 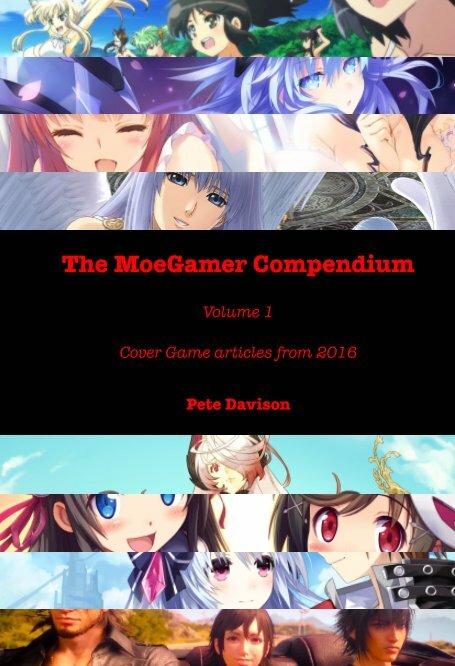 It makes a clear distinction between learning new characters/words/phrases and reviewing things, for one, but aside from that it also features questions that test your comprehension of an actual Japanese speaker in a short video clip as well as the usual computer-generated voices. 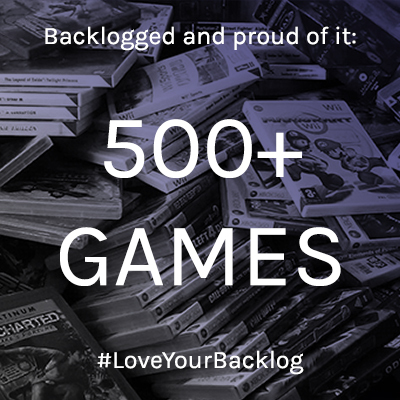 It also features “speed review” sequences in which you must identify words and phrases against a very tight time limit — quite stressful, but a great way of encouraging you to recognise words and phrases in their entirety quickly rather than sounding out each character! Memrise works well for me because it doesn’t make you feel like you’re “failing” for giving a wrong answer. Duolingo didn’t really do this either, but Memrise handles it better. Get something wrong in Duolingo and you just move on; get something wrong in Memrise and it will tell you the right answer, then get you to copy it out, then bring it up again later in your study session. There’s even the option to effectively say “I don’t know” to a question and get it to give you the answer — something Duolingo lacks. There’s a paid subscription option for Memrise that unlocks a number of different activity types on top of the basic learn, review and speed review functionality, and regular participation with a free account will cause these to crop up occasionally without having to pony up for a premium account. 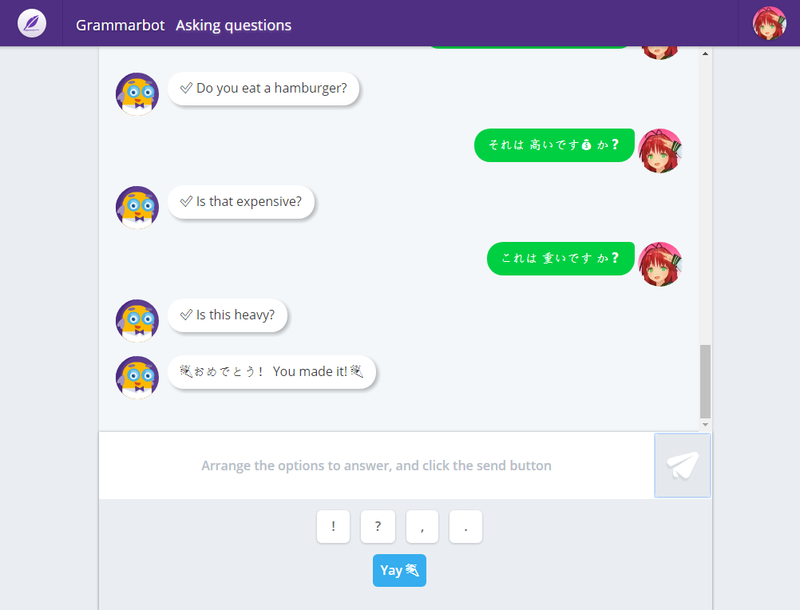 Of particular note among these is the “GrammarBot” feature, which takes the form of a virtual text messaging session between you and a bot, and tasks you with assembling Japanese phrases and sentences based on grammatical rules it gives you at the start of the activity. 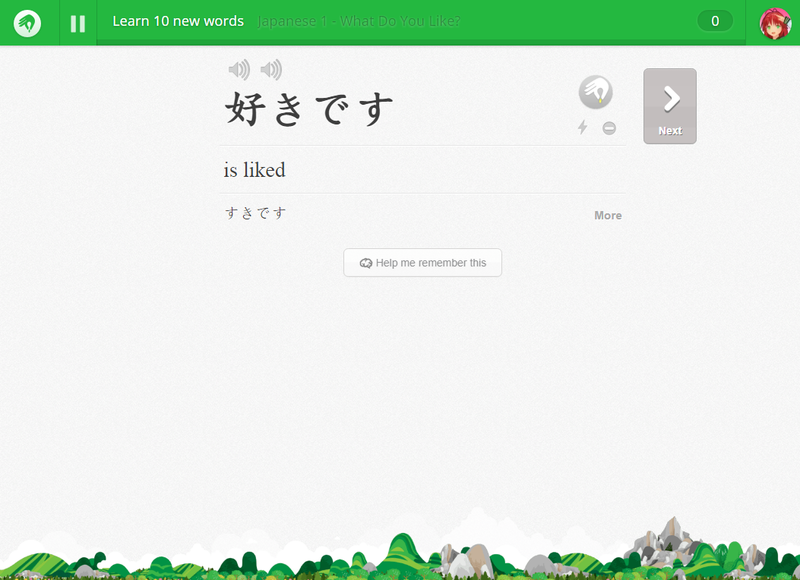 There are a couple of things I would like to see Memrise take from Duolingo’s implementation of its Japanese course. For one, I really like the way that Duolingo speaks the characters you choose as you’re giving an answer in Japanese; it helps you to more readily associate the characters with the sounds they make. Likewise, Duolingo’s “tooltip” system, whereby you can hover over a word or phrase in Japanese or English and get it roughly translated into the other, is a helpful addition. It’s not always perfectly executed — notably, the English to Japanese side of things often throws you kanji you haven’t learned yet rather than using simpler phonetic hiragana spellings — but it is helpful. Memrise does have some nice supporting features of this ilk, however. It shows you the phonetic spellings of kanji when you answer a question involving these characters, for example, and when dealing with phrases and sentences you can see which bit of the sentence performs which function so far as Japanese grammar is concerned. For example, as well as helping you understand that the phrase お腹が空いてます means “I’m hungry” when translated, it also points out that, grammatically, it means “the stomach is the subject of this sentence, it is empty”. This goes a long way into helping you get a grasp of how Japanese particles work and when you should use them in your sentences. In fact, the structure of the lessons is such that you tend to learn the individual parts of the sentence a little bit at a time before combining them. In the aformentioned example, you learn “stomach” and “is empty” as separate phrases before seeing how to put them together using the “ga” particle, and the same is true for other similar cases. Some, like the example for “I’m thirsty”, demonstrate that sometimes different kanji are used for the same thing based on context, too, while others, like 元気 (genki, health/wellness) versus 気分 (kibun, feeling/mood) show that the order of characters, shared characters, and perhaps the use of similar-looking characters, can show related concepts. Memrise’s basic plan lacks some of the detailed reading on grammar that Duolingo’s Web-based incarnation offers — this content isn’t available via the mobile app — but it teaches a lot more of this sort of thing by you simply absorbing it naturally as part of the other topics it is teaching you. Its memory-based structure is extremely effective at cementing things in your mind, and the different ways it challenges you to learn characters, words, phrases and full sentences encourages you to think about what you’re learning in numerous different ways. 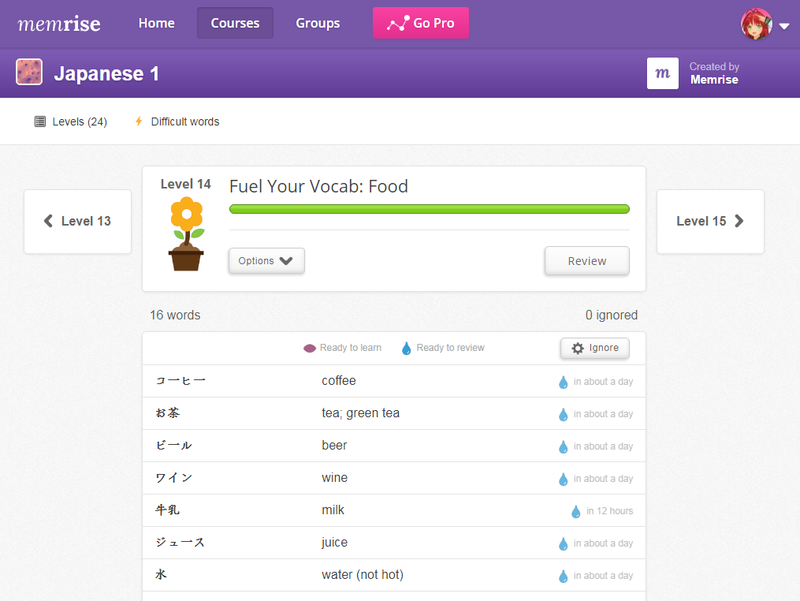 Like with Duolingo, there will likely come a point where Memrise’s basic Japanese course is not quite enough for you — or perhaps you’ll exhaust the content that its various levels offer. From that point, you can either support your learning with the use of a textbook or more formal classes — or, pleasingly, using a number of user-generated courses hosted on the Memrise platform. 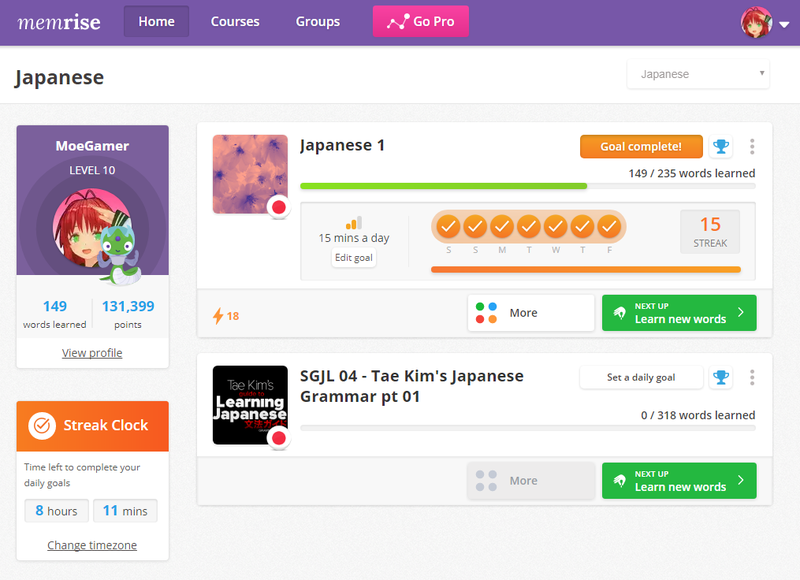 Of particular note are the number of courses that have been set up based on Tae Kim’s guides to Japanese and Japanese grammar; these allow you to take your learning to the next level and make use of Memrise’s motivational tools to keep you invested in your learning, even once you’ve ploughed through what’s “officially” offered. 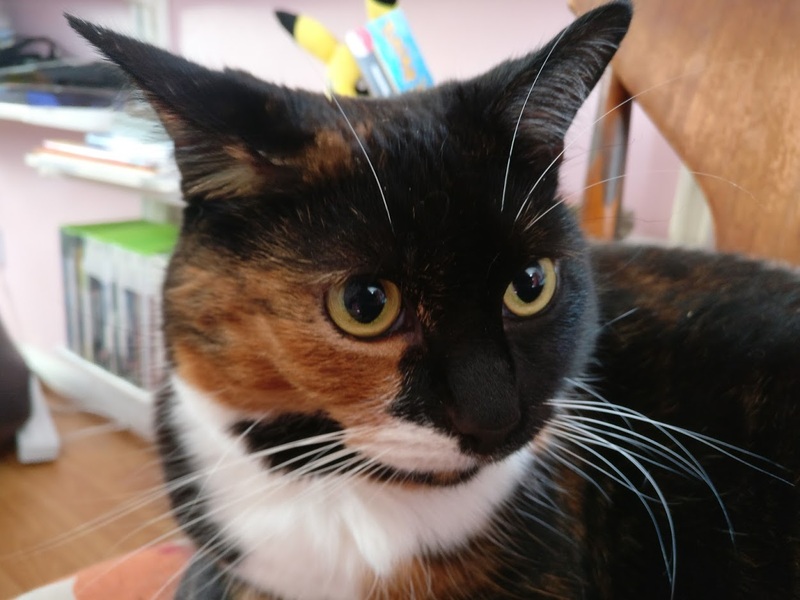 On the whole, Memrise is so far proving to be an excellent resource for anyone looking to learn Japanese, particularly if you’re just starting out or looking to develop your confidence. If you want to take your appreciation of Eastern popular culture — or just Japanese culture in general — to the next level, it’s well worth checking out. Cool, I’ll give this a whirl! Could do with getting some Nippon language into me.